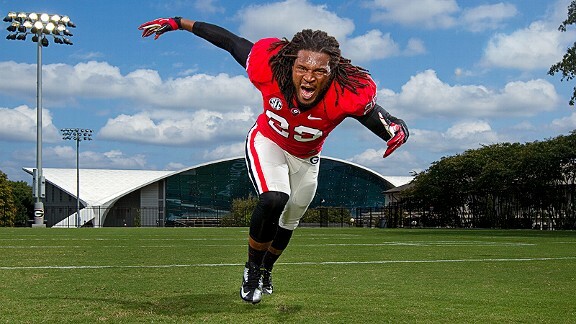 Will Jarvis Jones Outshine Fellow Rookie Barkevious Mingo In 2013? Sure there’s no way to tell as of yet, but it sure is fun to start thinking about how two of the higher profile rookies on the defensive side of the ball in 2013 will fare – Steelers LB Jarvis Jones and Browns LB Barkevious Mingo. The two players were chosen 10 spots apart in the April draft, and when it became apparent that Jones was headed to the Steelers, black and gold fans could not have been happier. Mingo was the focus of a recent PFT article, as some Browns writers talked to his former teammates, who gave him high praise and feel that he’s going to be a stud in the NFL. With the Steelers success at drafting, do you think that Jones is going to be a better NFL player in his rookie year than Mingo? Or will Mingo step up and be the beast for the Browns that they have finally been looking for all these years? Will Heath Miller Recover Enough To Make An Impact Opening Day? 2 Comments on "Will Jarvis Jones Outshine Fellow Rookie Barkevious Mingo In 2013?" The language on the Mingo tape should be deleted because minor kids also follow the Steelers news! The Jarvis Jones tape is also not appropriate and filled with the N____ word! Dont blame Paula Deen!